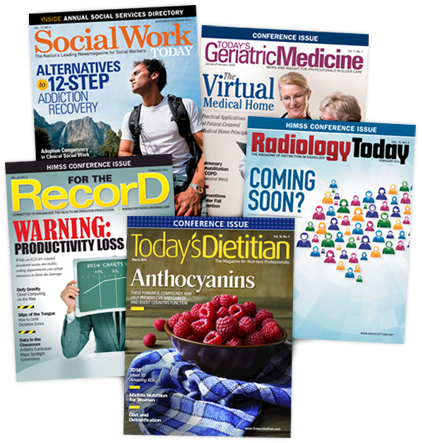 Our magazines and their associated media properties provide up-to-date information, important continuing education credits, and current career opportunities to our influential audiences of health care professionals. 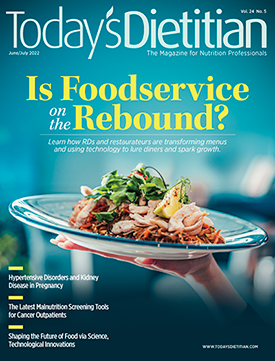 Today's Dietitian is established as a trusted resource for registered dietitians and nutrition professionals, earning a loyal and enthusiastic audience that appreciates our independent voice and timely coverage of subjects they are truly interested in. 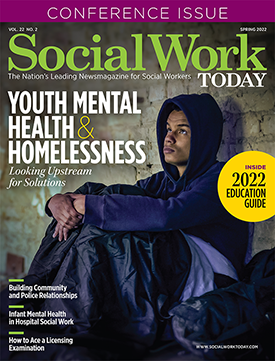 An essential resource for social work professionals for more than a decade, Social Work Today is the only national trade publication committed to exploring issues concerning this profession through expert and concise editorial content presented in a contemporary, visually appealing style. 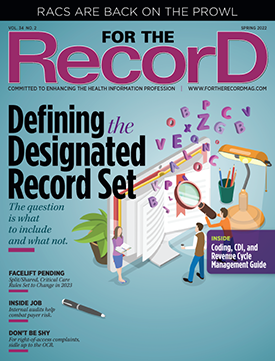 For The Record has earned the trust of health information management professionals and become the most respected independent voice covering the industry today. Endorsed by numerous state HIM associations across the country, our experience and expertise make For The Record an essential source for credible in-depth reporting on a diverse range of topics. 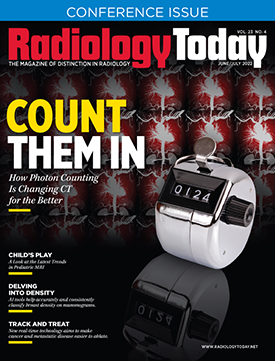 Widely recognized in the imaging industry, Radiology Today reports on the latest news and information affecting radiologists, radiology administrators, and technologists. The magazine and its associated media properties uniquely address industry professionals' concerns, challenges, and common interests. 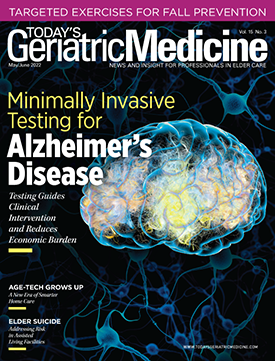 Today's Geriatric Medicine delivers the latest news and information in geriatric care to an expanding audience of health professionals that includes geriatricians, primary care physicians, nurse practitioners, physician assistants, dietitians, social workers, and occupational/physical therapists. We understand the need for busy professionals to earn the CE credits they need quickly and conveniently. You'll enjoy our low-stress, cost-effective method of attaining CE credits in the comfort of your own home or office, anytime of the day or night. Whether you're a recruiter or a professional, our goal is to connect employers with qualified candidates that match opportunity with experience. We provide solutions for companies, agencies and job seekers in print, digital, and online. Our magazines enjoy established, national client bases waiting for you to bring the qualifications and experiences needed to succeed in a fast-paced environment. We accept resumes on an ongoing basis for opportunities to join our team. Great Valley Publishing Company, Inc. has been serving health professionals for over 25 years. Our current B-to-B publications target specific audiences within several areas of health care — health information management, radiology, nutrition, social work, and aging. For The Record, Radiology Today, Today's Dietitian, Social Work Today, and Today's Geriatric Medicine are each leaders in their respective fields. Accredited by the CDR as a CPE provider, the Today's Dietitian CE Learning Library offers a wide range of new courses for RDs and nutrition professionals in need of credits for recertification and general career development. For the social service field, professionals looking to earn additional CE credits can do so through the articles offered in Social Work Today. Great Valley Publishing understands the need for busy professionals to attain CE credits quickly and conveniently. We offer programs which are guaranteed to save you time and money! You'll enjoy the fast, inexpensive method of attaining CE credits in the comfort of your own home or office, anytime of the day or night. Check out each program and begin earning credits today. It really is the easiest way to earn continuing education credits! We've also expanded our continuing education division with the Today's Dietitian Spring Symposium, a live, multi-day event where nutrition professionals can earn CE credits through sessions led by some of the most-respected experts in the field on a range of topics, Heading into its 3rd year, the Spring Symposium is also a unique opportunity for professionals to network with peers and our session presenters, take part in morning fitness classes, and enjoy product sampling and interaction with our sponsor companies. Backed by 25 years of experience as an allied health recruitment resource, our publications are established in their respective fields as powerful tools for recruiters, with resources including print display ads, Web banners, and postings on our online job boards, AlliedHealthCareers.com and the Physician Recruitment Center. 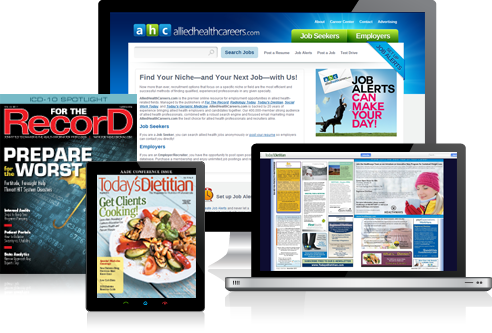 Offering a proven track record of attracting both active and passive job seekers, our magazines and their associated digital media properties connect recruiters with the industry’s most qualified professionals. Our online job boards produce results for recruiters in professions such as health information management, social work, dietetics, geriatrics, radiology and PT/OT/SLP. Print advertisers have their open positions immediately posted on the appropriate online job board, are included in the publication’s monthly e-newsletter, appear in the next print edition, are part of a digital edition that is deployed to the desktops of our subscribers, and are included in our monthly recruitment e-blast — all for one low price. Whether you’re recruiting in print, online or both, the media brands of Great Valley Publishing Company are trusted, time-tested solutions for health care recruiters across the nation. The magazines of Great Valley Publishing Company, Inc. are well-known in their respective fields as trusted information sources, with each issue read by influential industry decision makers with purchasing power. Advertising in any of our publications is a proven, effective way to reach a targeted, professional audience who look to our publications as the definitive source for news, trends and informative, well-written features that cover their industry from the inside. Our advertisers are satisfied customers who return to our pages regularly to promote their brands and products and communicate their latest message to our highly qualified professional audiences. Plus, advertisers can also extend their reach beyond the printed page with a variety of online and digital media options such as custom e-blasts, e-newsletter and web banners. For consideration please e-mail your resume to hr@gvpub.com. Great Valley Publishing Company, Inc. is proud to be an Equal Opportunity Employer. Great Valley Publishing, located in Spring City, PA, has been publishing trade and consumer magazines for over 25 years. Due to our growth we are seeking a few great people! Each of our magazine brands enjoy a world-recognized, established client base waiting for you to bring your qualifications and drive to succeed in these unique and fulfilling opportunities. Great Valley Publishing Company, Inc., publishers of five leading health care magazines and two online job boards, accepts resumes on an ongoing basis for opportunities to join our inside sales team. If you are a sales eagle looking for a new and exciting career opportunity, exceptional earning potential, national protected territories and an established client base, then this is your chance to join a well-respected, industry leader! Sales executives with experience, or even those new to sales, are invited to submit their resume to hr@gvpub.com. As opportunities arise, you may be called for an in-person interview. As an Account Executive, you will interface with both large and small companies, in-house media buyers, marketing directors, business owners and advertising agencies to assess their needs, and recommend appropriate advertising solutions based on their business requirements. The solutions you will offer clients include both print and web based advertising platforms. The AE should be comfortable developing and managing a prospect database, meeting sales quotas and deadlines, cold calling, solution selling, and trade show presentations. Knowledge of advertising agencies (both lower level and executive ad agency buyers) is a plus. Some national travel to trade shows required. Ideal candidates will possess a high-energy, team player attitude. You must be a goal driven self-starter, who has a proven track record of meeting and/or exceeding goals. We are looking for people who are not afraid to ask for the sale. Outstanding outbound phone presence and conversational skills required. Must thrive in a fast paced, deadline-oriented environment. Exceptional communication skills via the phone and e-mail. Great Valley Publishing Company, located in Spring City, PA, has internship opportunities in following departments: Art Department/Graphic Design, Web Design, Marketing and Editorial. 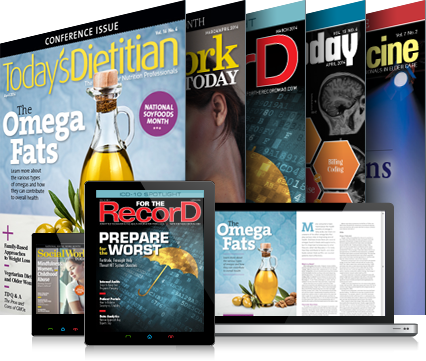 Our internships are informative and provide real-world experience in the magazine publishing field. The internships are unpaid, but the experience you will get is priceless. These opportunities are available for either part - time or full- time interns. For more information, please submit letter of interest, resume and portfolio samples (if applying for a graphic design or web design internship) to hr@gvpub.com. Internships are available all year long.